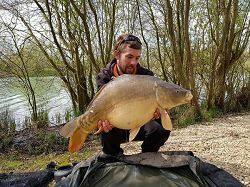 At Linear Fisheries we aim to provide a safe and memorable angling experience, offering excellent fishing and customer service whilst still maintaining a profitable, sustainable business and managing the surrounding environment in a sympathetic manner. The team at Linear have a passion for angling and are driven to provide the best Day-Ticket and Syndicate waters in the country. This is our Mission Statement and something we constantly strive to achieve. Within the pages of this website is much of the information you need to start fishing our waters at Oxford and much more that we hope will be of interest to newcomers and regulars alike. In the Gallery section you will find photos of some of the lovely fish our lakes have produced over the last year or so, along with our rules and other useful information that will help with your trip to the complex. You can also visit our Facebook Page or YouTube Channel and can follow us on Instagram. Every year, since 1990 we have produced either an annual newsletter or brochure, and 2019 is no exception. Our free brochure can be ordered or downloaded from this website, where you can also order a copy of our New Fishery DVD. In recent years we implemented a scheme which allowed children under the age of twelve to fish for free on the Day Ticket Waters providing they are accompanied by a paying adult angler and fishing in the same swim. This scheme was very well received, so well that from 2017 we decided to extend the scheme to cover all children under the age of 16. This concession will only apply during the UK school holiday breaks and weekends. More details of this can be found on the Prices Pages of this web site. 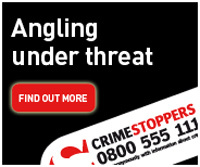 Can we please ask everyone who plans to visit our fishery to make sure they are aware of all our fishery rules. These rules help us maintain the site, help protect our environment and the amazing stock of fish that resides in our waters. 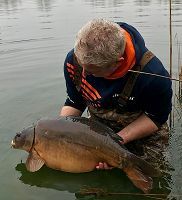 They also play a massive part in ensuring your visit to the fishery is as enjoyable as possible. Our rules are enforced, so please take time to read them before you arrive. 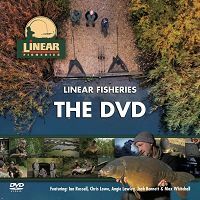 All of us at Linear Oxford are dedicated to the continued running of a well-kept and well stocked fishery, not just for carp anglers but for all who wish to fish them - be it for tench, roach, bream, pike, perch and catfish – all of which abound in our waters. 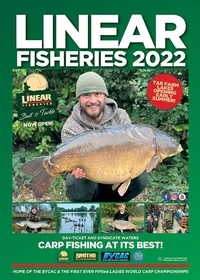 From all at Linear – ENJOY THE WEBSITE AND BE LUCKY. Chris Blunt – General Manager. On Saturday May 11th 2019 we will be hosting our annual Open Day on the complex – further details of this event are contained within our brochure and within this web site. If you are interested in any of the waters [including the syndicates] you will be welcome to come along on the day and have a look around the site or to seek advice from the Linear Bailiffs who will be attending that day. 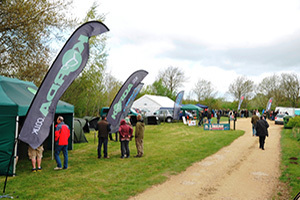 There will also be tackle stands and some scheduled demonstrations by well-known anglers – Please look out for further details on our website. **Lake Closures/Bookings over the next 5-Months** These are subject to change! - Brasenose-Two: will be closed from 8am Thursday 9th May until about 4pm Friday 10th May for maintenance - The Linear Open Day will then follow straight on from there with about 22 swims closed for the event. - Linear Open Day: Brasenose-Two, Swims 1 through to 12 will be closed from 12 Midday on Friday 10th May until Midday Sunday 12th May 2019 along with a number of other swims the will be individually sign posted as closed. Some will reopen Sat PM, others on Sunday. - Manor Farm Lake: The whole lake will be closed from 8am Friday 31st May until approx 2pm Sunday 2nd June. - Oxlease: Pegs 5-15 will be closed from 8am Sun 2nd June until approx midday Tuesday 4th June. - Oxlease Lake: The whole lake will be closed from 8am Friday 7th June until approx 2PM Sunday 9th June. - Hunts Corner Lake: The whole lake will be closed from 8am Friday 7th June until approx midday Monday 10th June. - Brasenose-One: The whole lake will be closed from 8am Friday 14th June - The whole day ticket complex then closes at 4pm Sunday 16th for two weeks. - Oxlease Lake: The whole lake will be closed from 8am Friday 14th June - The whole day ticket complex then closes at 4pm Sunday 16th for two weeks. - St. Johns: Pegs 8-17 will be closed from 8am Friday 14th June - The whole day ticket complex then closes at 4pm Sunday 16th for two weeks. - Hunts Corner Lake: The whole lake will be closed from 8am Friday 14th June - The whole day ticket complex then closes at 4pm Sunday 16th for two weeks. - ALL Day Ticket Waters will be closed from 4pm Sunday 16th June for a two week rest. They will open at around 7am on Monday the 1st of July. 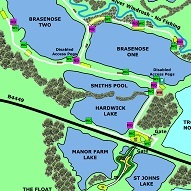 - Brasenose-Two: The whole lake will be closed from 4pm Friday 5th July until approx 3pm Sunday 8th of July for the BYCAC. - Hunts Corner Lake: The whole lake will be closed from 8am Friday 12th July until approx midday Sunday 14th July. - Oxlease Lake: There will be 10 swims closed from 8am Friday 12th July until approx midday Sunday 14th July. (Swim numbers TBC). - Brasenose-One: Pegs 20-31 will be closed from 8am Saturday 13th July until approx 2pm Sunday 14th July. - Brasenose-One: The whole lake will be closed for a booking from 8am Friday 19th July until approx 2pm Sunday 21st July for the BCAC Semi's. - St. Johns: The whole lake will be closed for a booking from 8am Friday 19th July until approx 2pm Sunday 21st July for the BCAC Semi's. - Hunts Corner Lake: The whole lake will be closed from 8am Monday 22nd July until approx midday Thursday 25th July. - Oxlease Lake: The whole lake will be closed from 8am Friday 26th July until approx 2pm Sunday 28th July. - Hunts Corner Lake: The whole lake will be closed for a booking from 8am Tues 30th July until approx midday Thursday 1st Aug.
- Brasenose-One: The Whole lake will be closed from 8am Friday 2nd August until approx 2pm Sunday 4th August for the BCAC Semi's. - St. Johns: - Brasenose-One: The Whole lake will be closed from 8am Friday 2nd August until approx 2pm Sunday 4th August for the BCAC Semi's. - Hunts Corner Lake: The Whole lake will be closed from 8am Friday 2nd August until approx 2pm Sunday 4th August. - Oxlease Lake: The whole lake will be closed from 4pm Tuesday 6th August until approx 3pm Sunday 11th August for the BYCAC Junior event. - Manor Farm Lake: The whole lake will be closed from 8am Friday 9th August until approx 2pm Sunday 11th August. - Hunts Corner Lake: The whole lake will be closed from 8am Sun 11th August until approx midday Sunday 18th August. 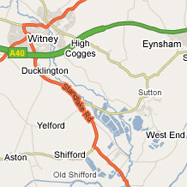 - Hardwick/Smiths: The whole lake will be closed from 8am Monday 12th August until approx midday Wednesday 14th August. - Brasenose-Two: The whole lake will be closed for a charity event from 8am Friday 16th August until approx 2pm Sunday 18th August. - Brasenose-Two: The whole lake will be closed for a booking from 8am Fri 30th August until approx 2pm Sunday 1st Sept. 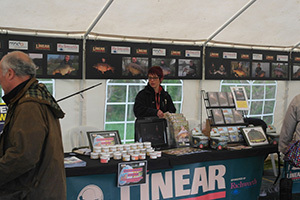 Linear Fisheries (Oxford) Limited is a wholly owned subsidiary of Smith & Sons (Bletchington) Limited, a company registered in England and Wales.